Are you feeling the winds of change stirring within the Earth and within you as we quickly head towards the Equinox? Nature offers such a profoundly beautiful reflection for us as we journey through our lives on Earth! We're now experiencing one of those magical points of the year where Nature is seasonally rebalancing! Pay attention and tune into Gaia's wisdom of effortlessly moving through change to bring that same energy of re-balancing, ease and willingness to flow through change into your own experience. Breathe in the new levels of Light and open your heart to receive the inspiration, activations and downloads available to you in the moment. It's just about tuning into that level of awareness! Trust in the process, let go of any attachments as to what has been, and surrender! Surrendering isnt about giving up... It's about releasing the outcome to the Divine and allowing the highest possibilities to unfold as you trust and are guided by joy, love and Spirit. Have a beautiful now and a joyful abundant September! As you simply feel and experience your inner light within your heart, call forth an elevated positive emotion within you! On incredible gratitude for being alive. Focus on what it would feel like for your deepest dreams and for the highest and most vibrant possibilities for your life to be made manifest. Really feel this within your heart center. Opening your heart and allowing your heart light to expand in 365 degrees around you! Call forth from the infinite an elevated feeling of gratitude, joy, presence, and love. And allow your heart light to expand. See, feel, hear, know, and experience your heart light brightly shining within in a very real and very powerful way. And know that focusing on the light in this way allows it to expand and calls even more forth! Let your energy open and expand as you now imagine you're breathing light in from 365° all around you. Let your vibration lift, and allow an entirely new level of your light emerge. Bask in the light of your open heart. Traveling down through the layers of the Earth all the way to the core. Connect with the healing, nurturing, wise, and empowering light of Gaia Mother Earth. Filling your entire core with incredible life force energy… Golden Divine Light. Up through your Soul Star chakra… Up into the light. Up into direct presence with Source. Feel your connection with Source, God, All That Is. As you simply bask in the light of the infinite, the light of Source. In a brilliant pillar of Divine light. Breathe in and feel your energy flowing upward… Uniting with Source, the Infinite, All That Is. And as you exhale feel your energy grounding… Flowing down… United with Gaia, Earth, and all of life. And feel the light within and all around you. Reconnect with the new streams of light consciousness flowing into this present moment here and now. 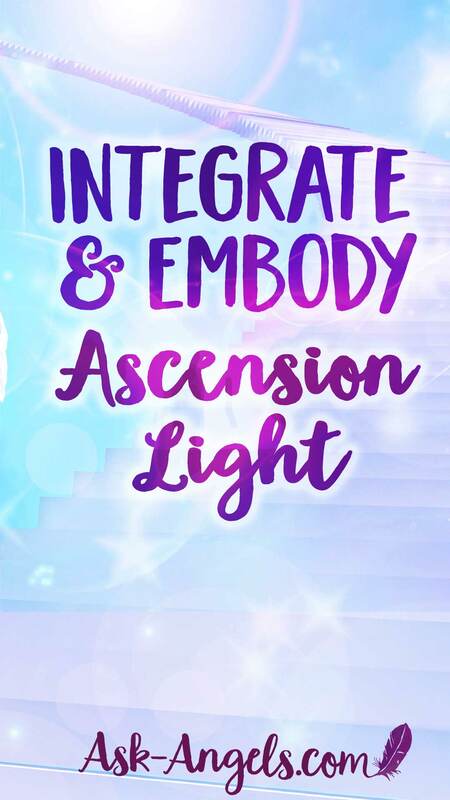 The light is here, but it's up to you to choose it, to consciously attune your energy to the higher levels, and to allow your next levels of light and embodiment in. … And when you do, know that you will certainly begin to see affirmation of this within and around you.As your light shines bright and flows forth ripples of blessing and positive energy to benefit all!